When I was younger I loved the book 'George's Marvellous Medicine' and the idea of mixing up potions from bottles in the bathroom cupboards. 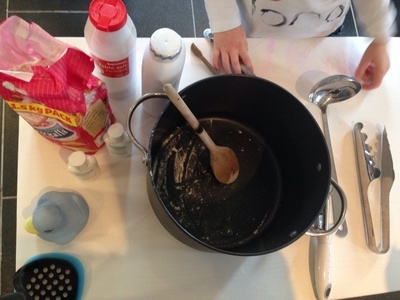 This messy mixture activity involves adding squeezes, squirts and shakes of whatever toiletries you want to use up to some kitchen flour and getting stuck in wth your hands or other utensils. Our components included some old hotel bottles of body lotion and hair conditioner, baby powder, washing up liquid and laundry gel. We also added some food colouring at the end. Variety of utensils - e.g spoons, tongs, flips etc. 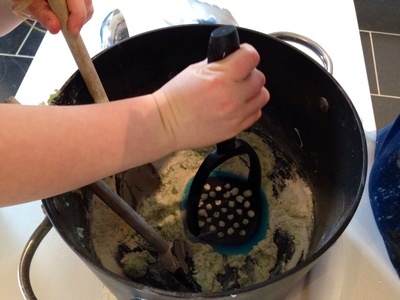 Squeeze, squirt or shake the components into a bowl adding more flour or more liquid items to change the consistency of your mixture. 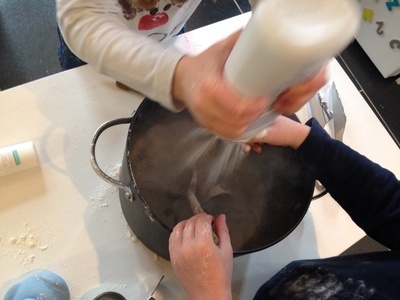 The kids particularly liked the baby powder in a shaker as the talc puffed everywhere. 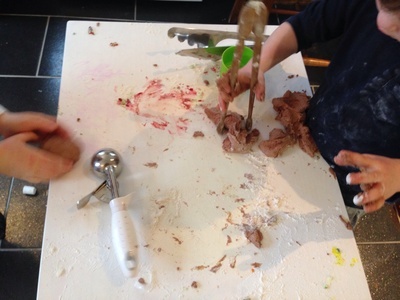 Get stuck in with spoons, hands or use other utensils. We particularly liked the ice cream scoop and potato masher. 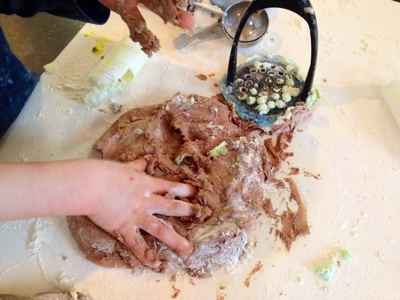 Add more flour to make a stretchy dough or more liquid items to get a goopy paste. 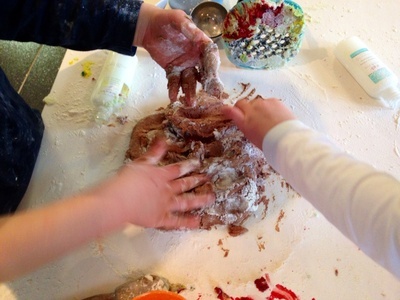 Please do share some pictures of your messy fun via the comments section.